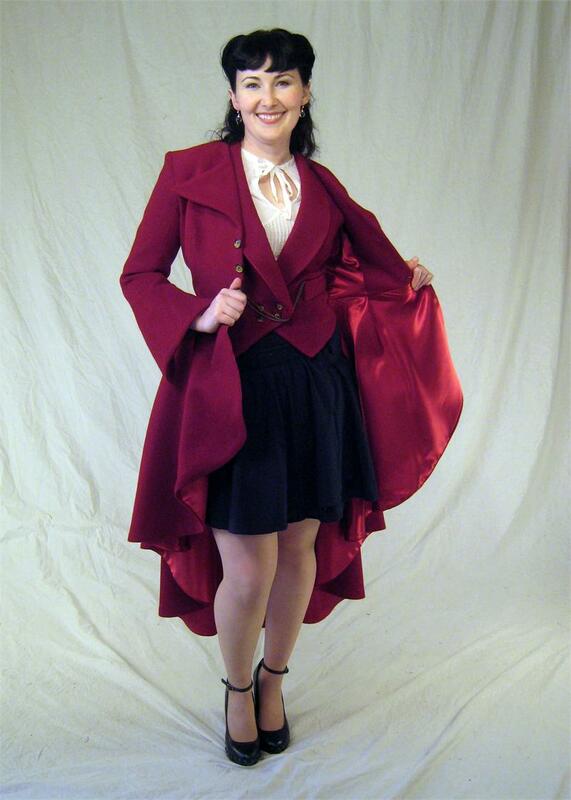 From her unique pointed lapel, to her lavishly full cascading skirts, Marguerite is a show stopper. 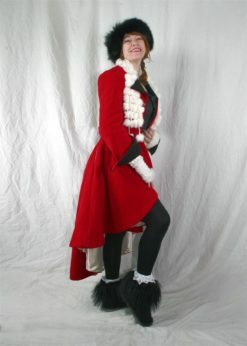 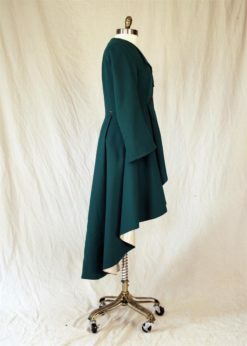 A touch of a men’s frockcoat at the back waist with her twin buttons and princess seam pleats which someone how makes you look at that more feminine. From her unique pointed lapel, to her lavishly full cascading skirts, Marguerite is a show stopper. 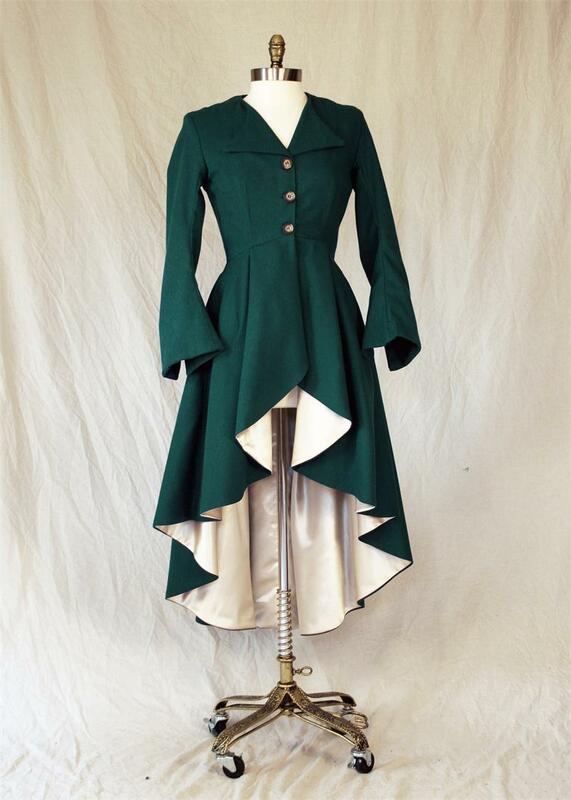 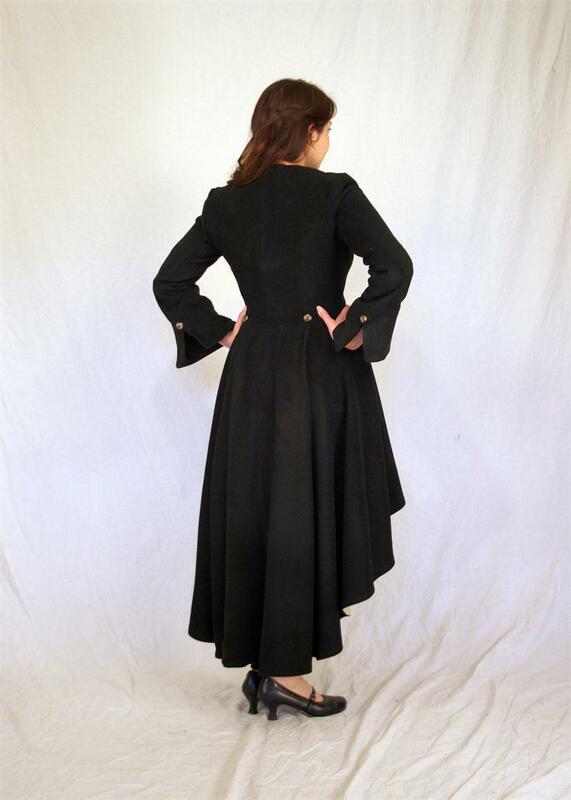 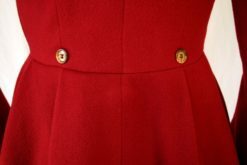 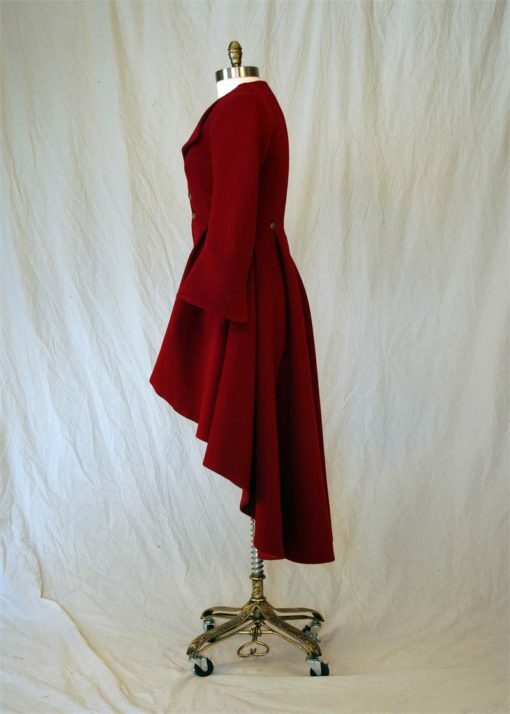 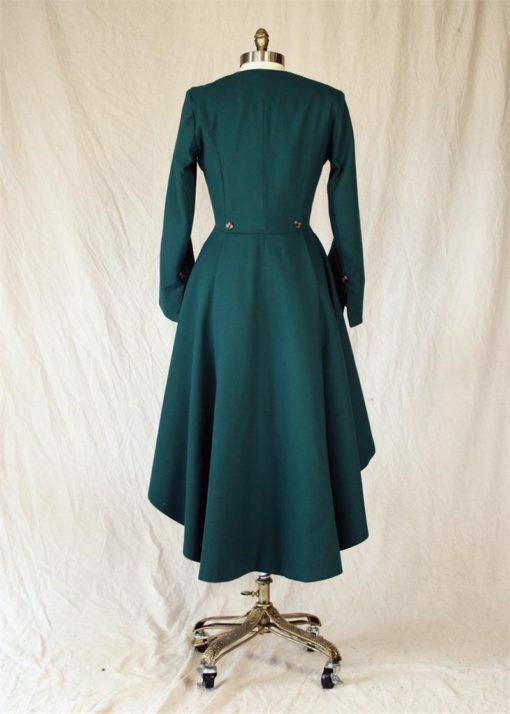 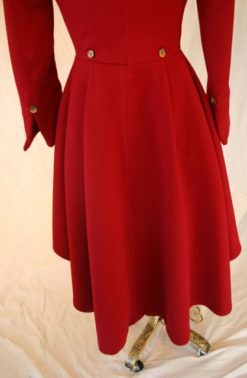 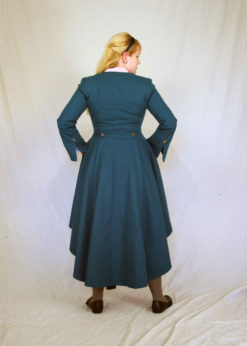 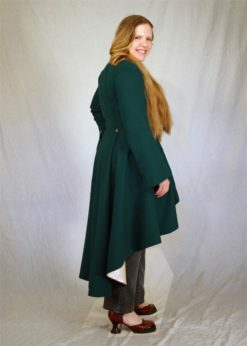 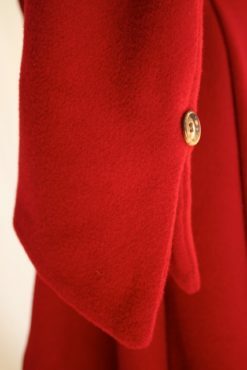 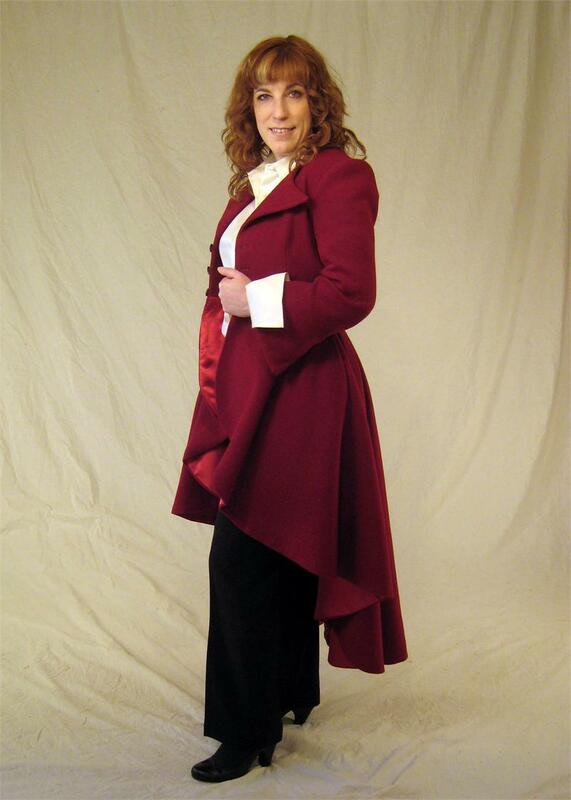 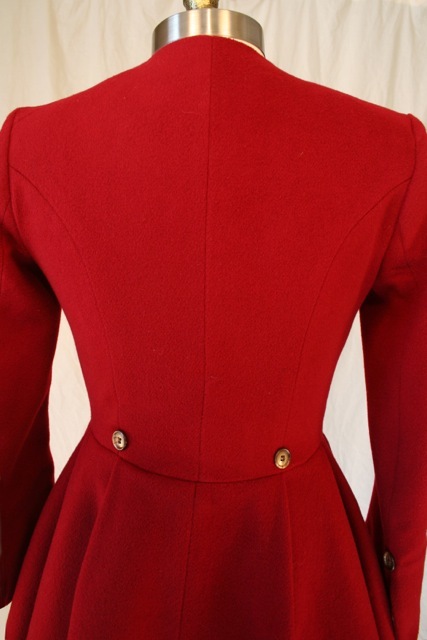 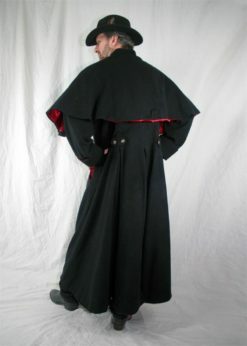 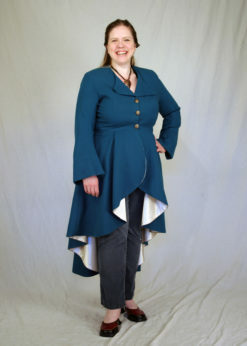 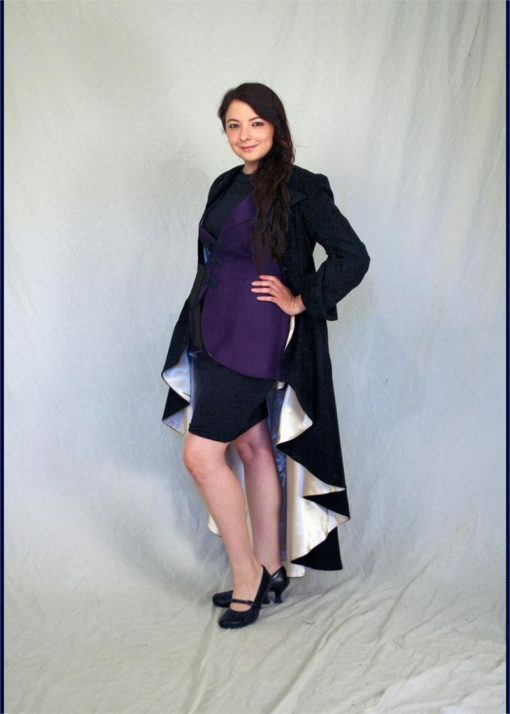 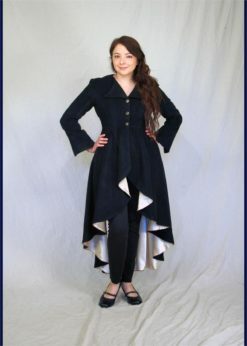 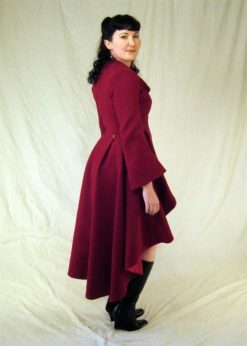 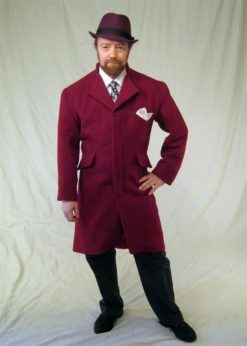 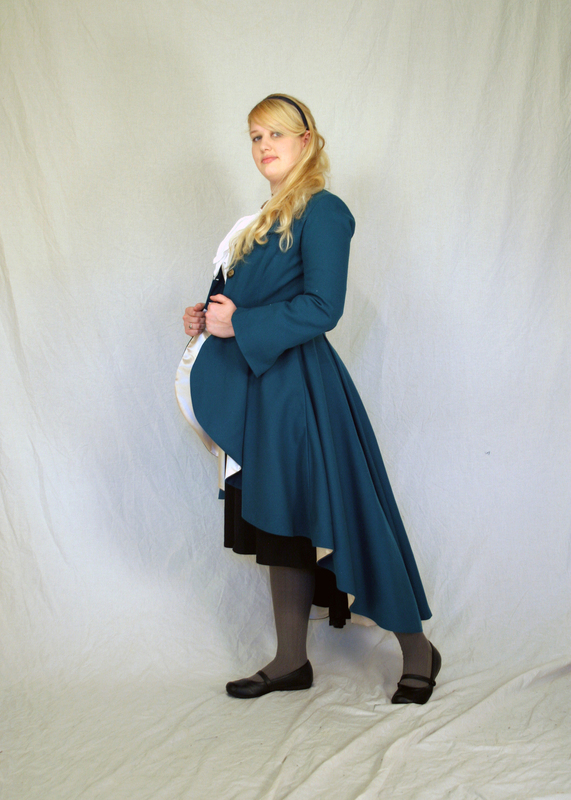 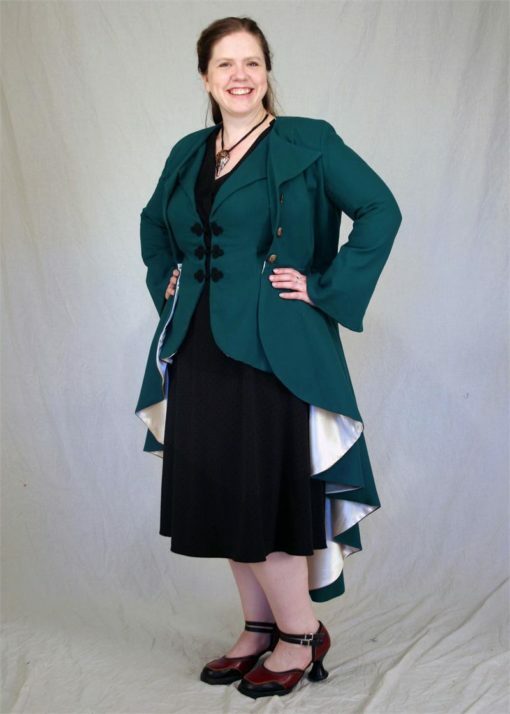 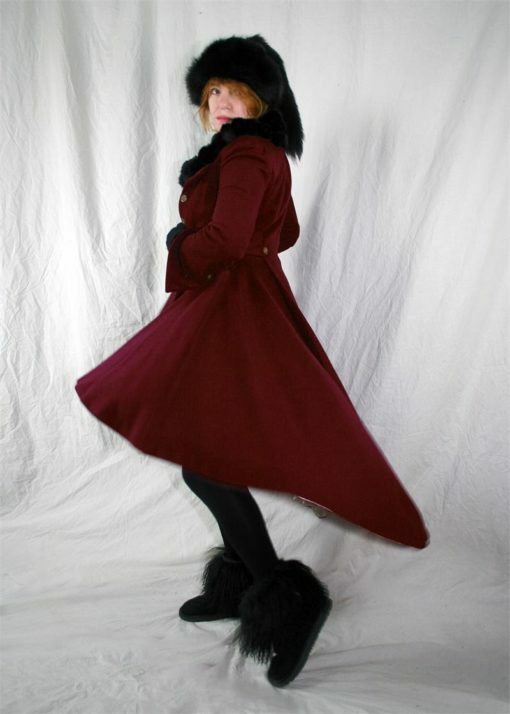 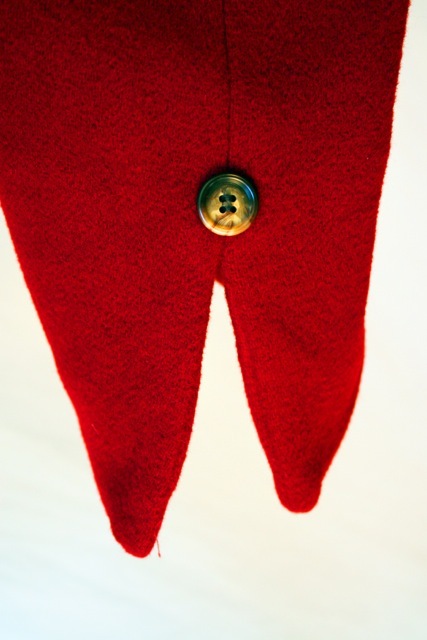 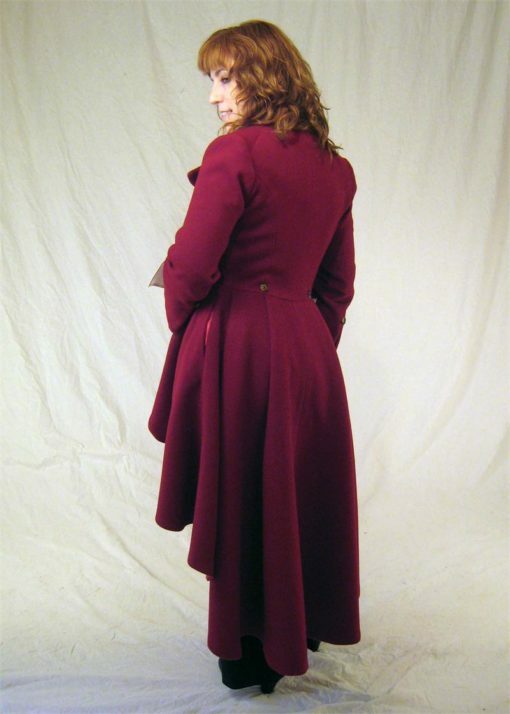 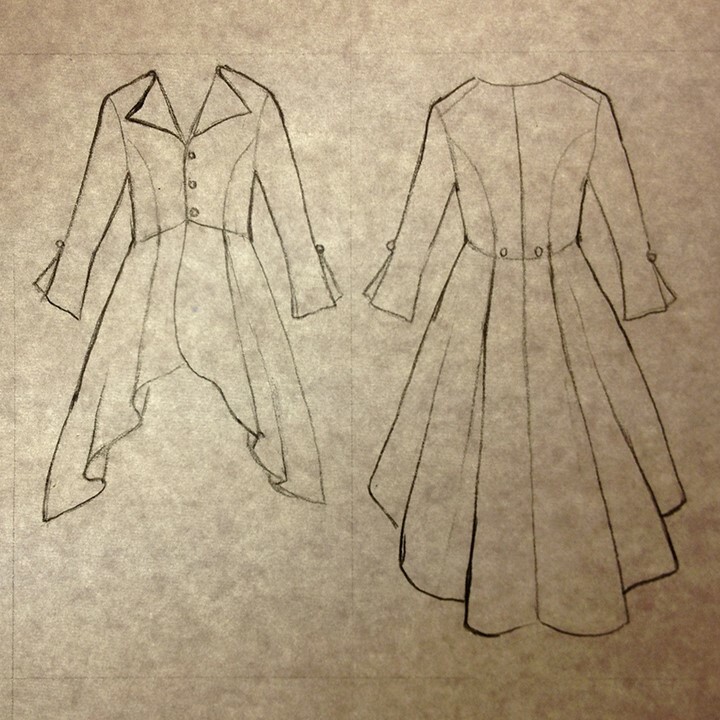 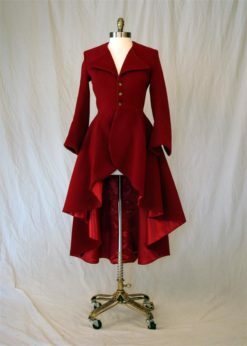 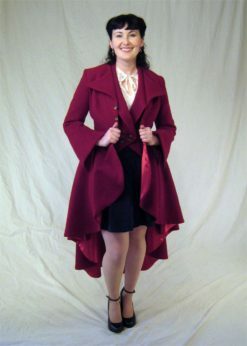 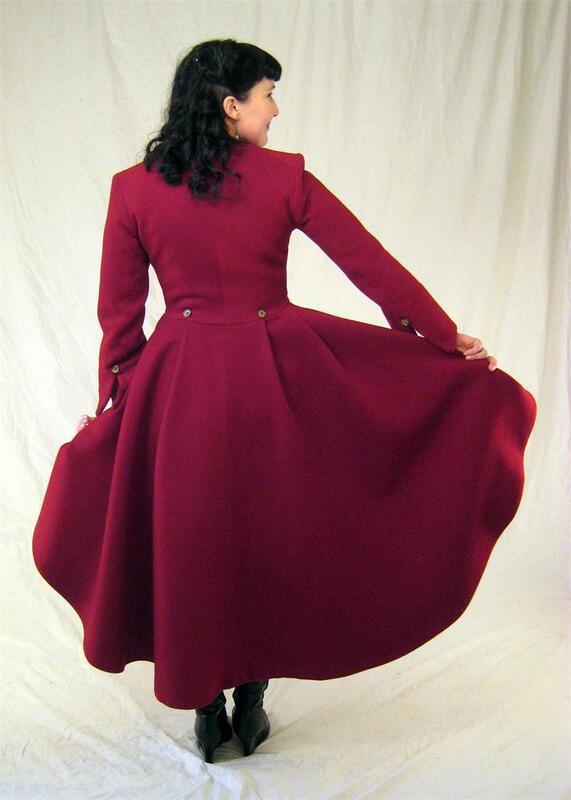 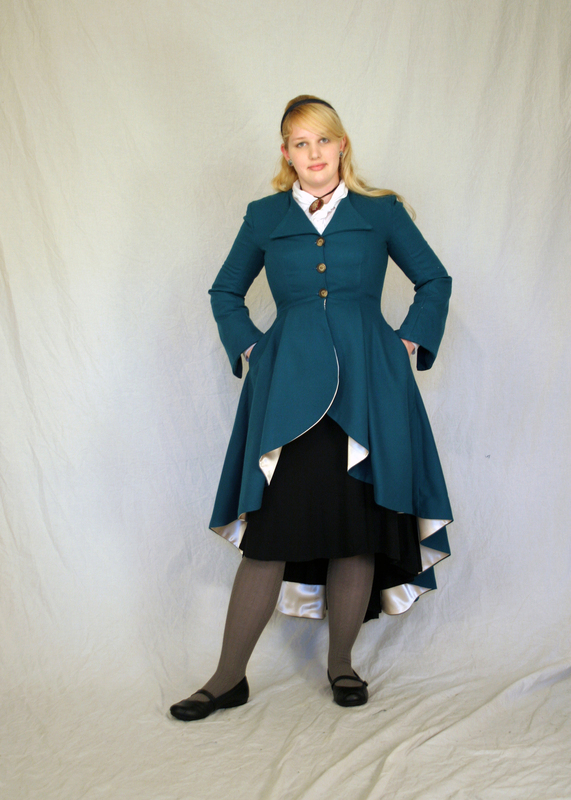 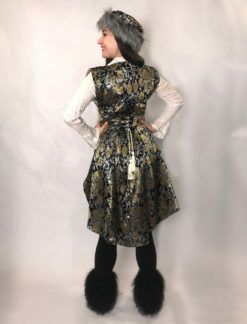 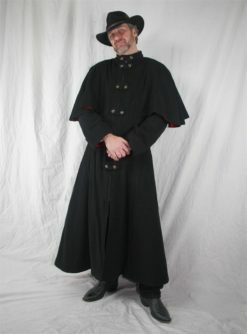 A touch of a men’s frockcoat at the back waist with her twin buttons and princess seam pleats which someone how makes you look at that more feminine (what is about women in men’s styles that is so flattering?). 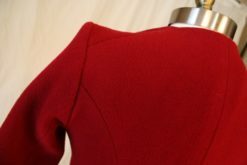 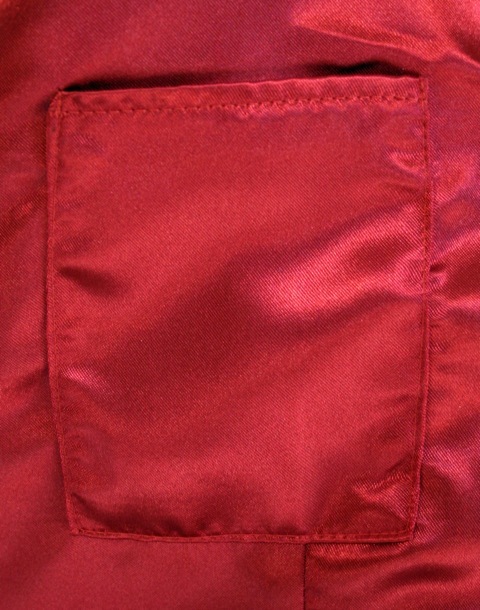 Her crisp, tailored shoulders that widen into flared cuffs that are slit to show off the cuff of your blouse. Ever the pragmatic figure she also has three pockets, two generous side pockets in the skirts and our interior signature ‘smugglers’ pocket just the right size for a delicate, laced edged hanky or cell phone. 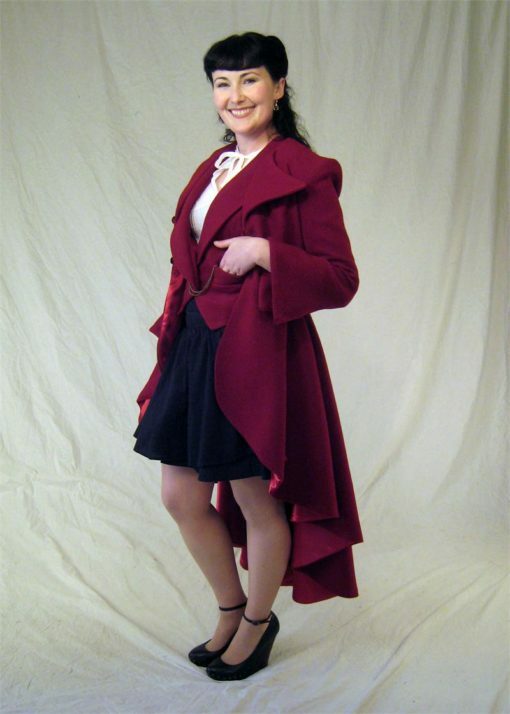 Paris, 1792 – The Terror sweeps the city with its bloody broom. 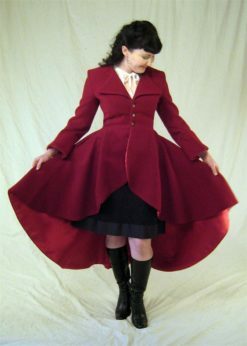 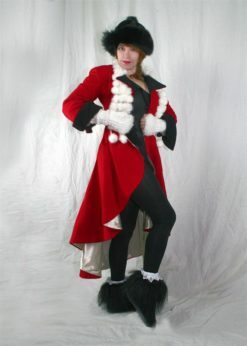 As those high and low who challenge the new regime are marched to the guillotine, only the mysterious Scarlet Pimpernel stands against the madness. His allies come from all walks of life, but none more alluring than Marguerite St. Just, a beautiful French actress, who, entranced by the Pimpernel’s exploits, forces herself into his circle. 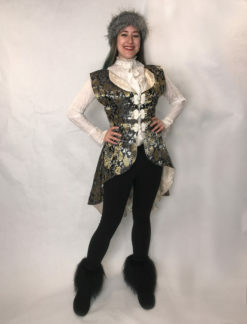 Marguerite’s misfortune was to be the wife of the wealthy English fop Sir Percy Blakeney, a baronet whose only real accomplishment is his ability to be forever impressed with his own wit. Contemptuous of her cowardly and unloving husband, she’s acted in the Pimpernel’s interests alone, only to find herself blackmailed: reveal the identity of the Pimpernel or see her brother die. With nowhere else to turn, she confides in the useless Sir Percy and learns a stunning truth — he is the Scarlet Pimpernel! 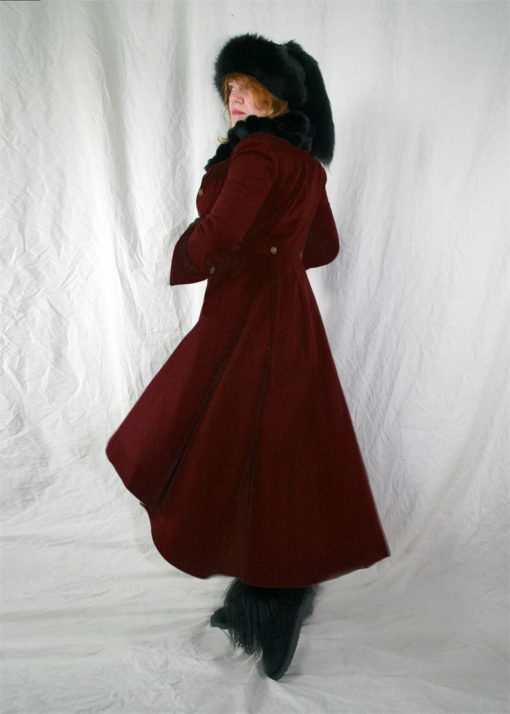 How will Sir Percy and Marguerite escape the villainous Chauvelin’s clutches? 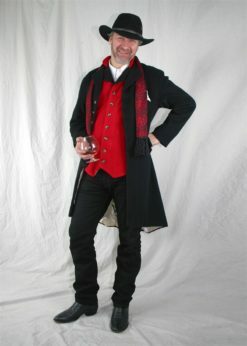 How can a bit of pepper in a gift snuff box prove an evil man’s undoing? You will feel ready to live that adventure yourself when you slip into Marguerite, a frockcoat that brings the elegance of 1800 Paris into the Twenty-first Century world.